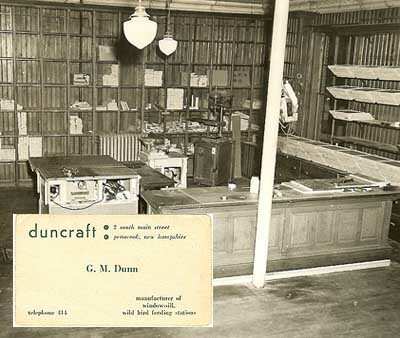 The Duncraft story starts with our dad Gil Dunn inventing a wood tray that clipped onto wooden windowsills. It had everything to attract wild birds up close: seed wells, a water dish and perching dowels with holes for peanut butter! This was in 1952. By the late 1960’s the black and white 16 page Duncraft catalog was carrying a whole variety of bird seeds and feeders. 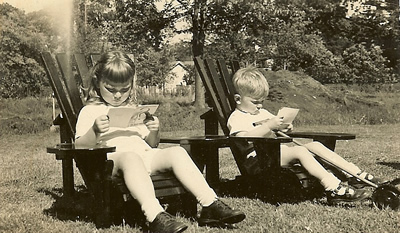 My brother Mike and I took over running Duncraft in the early 1970’s. We continued to develop Duncraft-brand bird feeders and foods, which were offered in our catalog and to specialty shops across the country. Our goal has been to build wonderful bird feeding products in our shop in Penacook, New Hampshire and to present them and the best of other manufacturers in the Duncraft catalog. Our vision is to create havens for birds one backyard at a time and to promote our customers’ enjoyment of watching birds and their connection to nature. At Duncraft we field test and use the products we offer. Our first consideration is always bird safety. We have been a leader in introducing new seeds for birdfeeding and in creating seed blends. Our standards for seed are extremely high: we accept only clean, fresh seed into our warehouse – and we sell it so quickly that it always arrives as fresh as it can be at our customers’ doors. A customer asked Patty in the Call Center if she was really in New Hampshire. And Patty replied, “Yes, we are all here – we take your calls, warehouse stock, create the catalog, run the website, ship packages – all from our one location here in New Hampshire. This is a family business.” In these days of outsourcing we are an exception! We hope you enjoy browsing around our website. The Duncraft Blog offers a remarkable array of informational features on many aspects of bird feeding. Our Email Newsletters and promotions provide links to articles as well as presenting the newest products and great offers on popular items. They are fun to read and there is always something new! Always, we love hearing from our customers. Comments, stories about feeding, digital photos, critiques, questions all are welcome here at Duncraft. And yes, you will hear back from us! Best wishes for enjoying your backyard birds. Gilbert M. Dunn, (1910 – 1971) our dad and the founder of Duncraft, grew up in New York City, and as a youth raced canoes on the Hudson; his first job was as a ‘runner’ for a brokerage house, Dyer & Hudson on Wall Street in 1927. In 1940 he enlisted and as a member of the 59th Fighter Squadron of the Army Air Force, soldiered in Africa, Italy, India and China in World War II. After the war he married and put his hand to inventions. He was an avid freshwater fisherman and outdoorsman. Gil started Duncraft in 1952 and spent twenty years building it as a one-man business. We think he’d be proud of Duncraft today. Michael M. Dunn, President and CEO works with his hand picked Team to manage internet, catalog, wholesale, factory store and product development profitably. There isn’t any activity at Duncraft Mike hasn’t worked on at one time or another in his career. He has consulted for many key manufacturers in these areas. Mike is a board member of the Wild Bird Feeding Institute, Capital City Rotary Club and a past president of the New England Mail Order Association (NEMOA). He is a lifelong resident of New Hampshire. Mike and his wife, Pam, have raised five children and now have nine grandchildren whom they see frequently. Mike loves the Maine seashore, he backyard birds, gardens, golfs and reads a great deal and enjoys a good game of Farkel. Sharon Dunn, Past President (retired) set the standards for the Duncraft Brand, Catalog and Organization. She directed the creative development of the catalog, including merchandising, marketing and circulation. Her number one passion … Customer Service. Sharon has worked in book and book review publishing in New York City, written freelance in London, edited reports for a strategic consulting group in Boston, and published a literary magazine for ten years. She is a published poet. 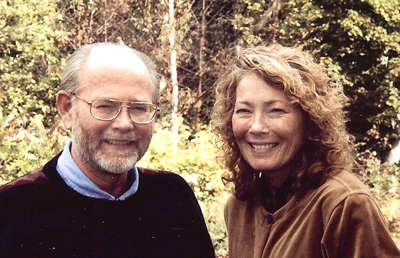 Sharon lives in Western Massachusetts with her husband the writer John J. Clayton and their son Aaron.